Krautrock legend, Michael Rother, plays Neu!, Harmonia and Assorted works as part of Label Mates Festival. Support comes from The Messthetics (Fugazi). 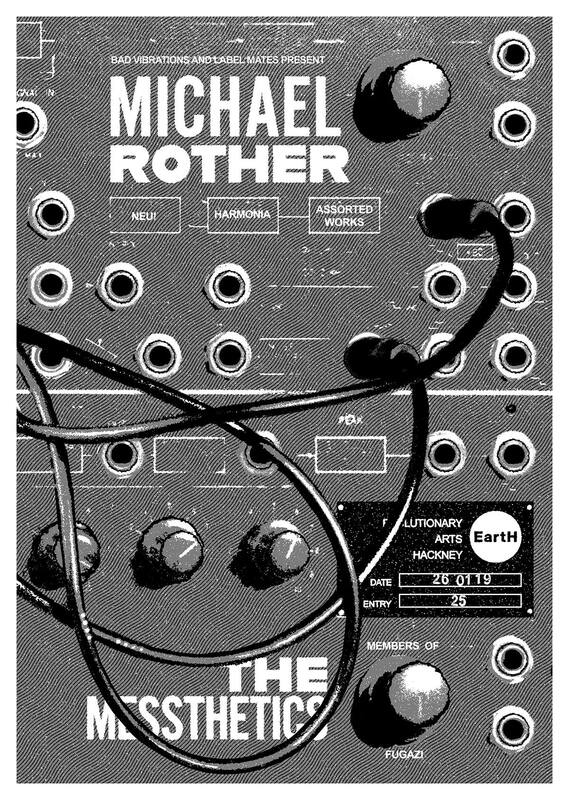 In the early ’70s, Michael Rother quit Kraftwerk, a move that may seem insane if not for his going on to take part in several seminal krautrock bands which influenced the likes of Brian Eno, David Bowie, Stereolab, and Thom Yorke. As part of Neu! and Harmonia, Rother pushed rock and electronic music towards a more rhythmic and experimental future with hypnotic percussion, stripped-down arrangements, and post-psychedelic soundscapes. The trio’s debut includes nine songs recorded at Canty’s practice space throughout 2017, live and mostly without overdubs. It’s a snapshot of a band dedicated to the live ideal, where structure gives birth to improvisation.